It was the same question that she asked herself two weeks before when the plane took off from her country, Paraguay. As a small-scale farmer, but also as a teacher, she believed that it was important to share with European youth what was happening in her region and in many other neighbouring countries like Brazil and Argentina. “Sharing and learning are the first steps to changing the world”, she thought. All 120 seats were taken in the auditorium. Students were getting extra chairs from other classrooms to take part to the event. It was the first time they would do something special on the occasion of World Food Day, which takes place each year on October 16th, the day the human right to food is celebrated all over the world. Myriam showed a picture which had been taken from the sky. One part seemed to be a forest, while the other part was a large field. She continued: “Today, in the region where I live, most of the fields are covered with soybean plantations. 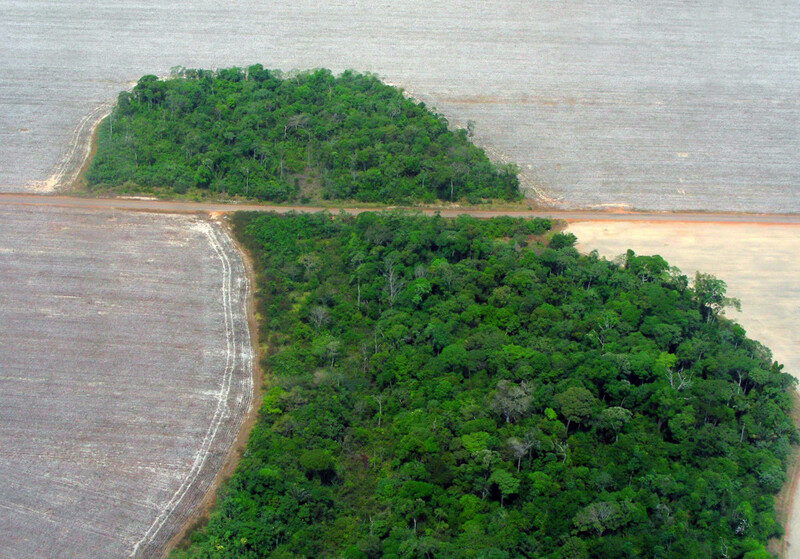 Big parts of the forests are cut down to make space for soy production. The same is happening in Brazil with the Amazon Forest. When the forest existed, temperatures were lower because trees help to bring humidity from the soil into the air. Now we observe that the climate is hotter with these big fields. But what are worse for us now are the planes”. Planes? The students looked very confused. 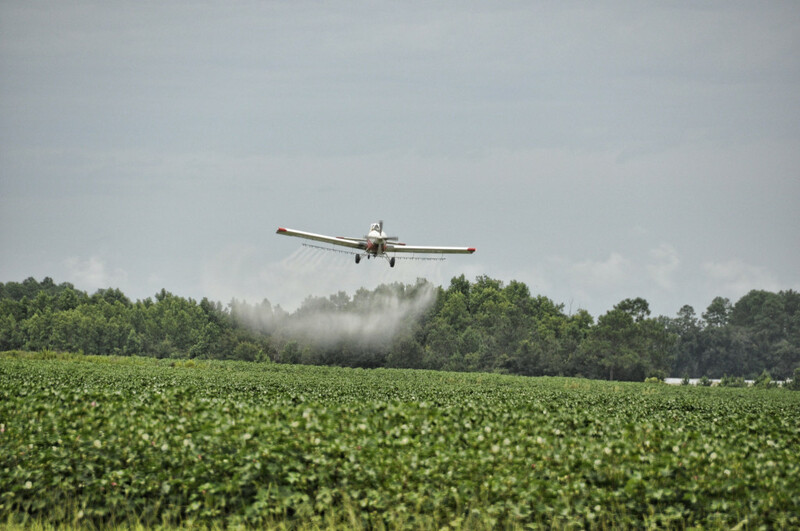 What could be the connection between planes and soy plantations? What if something as simple and usual as a piece of meat was in fact at the centre of many questions over the future of the planet? This question comes as two trends are in play: the first is that there are more and more people on the planet and by 2050, there will over 9 billion of us, requiring more food to be produced. The second trend is that meat and dairy products (milk, cheese, yogurt, etc.) are slowly entering the diet of more people every day. And raising livestock requires a lot of resources. In short, there are more people eating more meat and dairy while the resources at our disposal on our one and only planet remain the same. While the growth in consumption is particularly visible in countries like China, the biggest meat eaters live in Europe, the United States and other industrialized countries, where consumption is somewhat stagnating. Raising more animals poses more and more sustainability challenges. Meat consumption is considered by UN experts as a driving cause of climate change and is frequently linked with the overuse or pollution of natural resources (water, land, ecosystems). But how has meat become more problematic than transport for the climate? The reason is that a lot of land is needed for animals. Deforestation for growing feedstuff like soybeans and maize, or extending pastoral lands releases enormous amounts of carbon dioxide. Moreover, livestock itself is also known to directly emit large amounts of methane, a gas that warms the climate twenty-three times more than carbon dioxide. Eating less meat can therefore be a very concrete step towards mitigating climate change, and is probably easier than transforming the entire transport system.